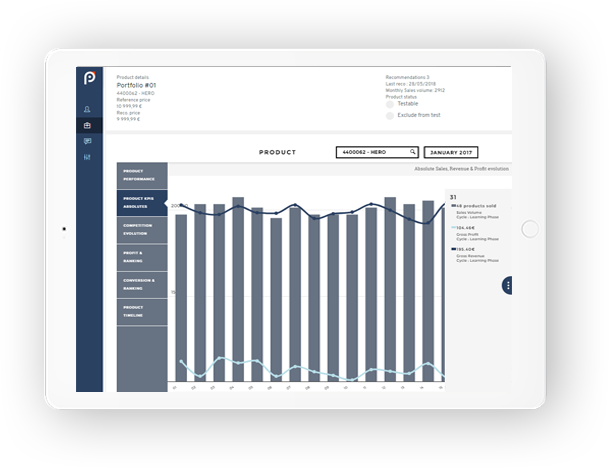 Set your business targets and constraints and watch as our machine learning algorithms optimise your pricing at product level in order to achieve your business goals! We are convinced that competition-based pricing is potentially destroying a lot of value. After building your data lake our reinforced machine learning algorithms build the elasticity curve for all your products.  The solution is then able to look for the best possible price combination per product to reach the business target you have set. Leveraging elasticity at scale thanks to machine learning is at the heart of our approach. Our algorithms optimise for specific business targets. We do not believe in a one-size-fits-all approach to pricing. Our library of algorithms can probably cover your pricing use case. If not then let’s build a new one together. 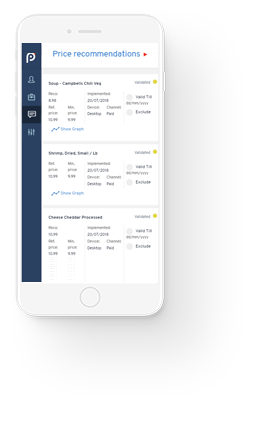 Our Saas Solution is a scalable Revenue Management tool that allows you to optimise the pricing of your product catalogue to achieve different business goals. You can visualize real time your performance and measure value creation. Working with us also means that you have access to a set of pricing experts that will help you write a success story! A step by step approach guided by a user friendly interface. Clear performance visualization dashboards based on an unbiased methodology. Optimization of different business targets per category taking into account the relative constraints. 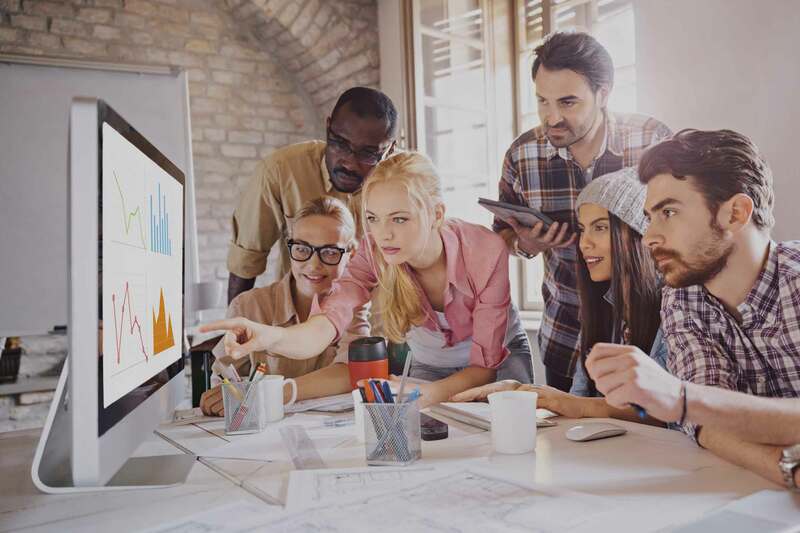 Our solution allows you to leverage product elasticity at the most granular level. Our machine learning algorithms help you manage a very large product catalogue under various Point of Sales. Our methodology allows you to reduce noise coming from external factors such as seasonality or promotions. 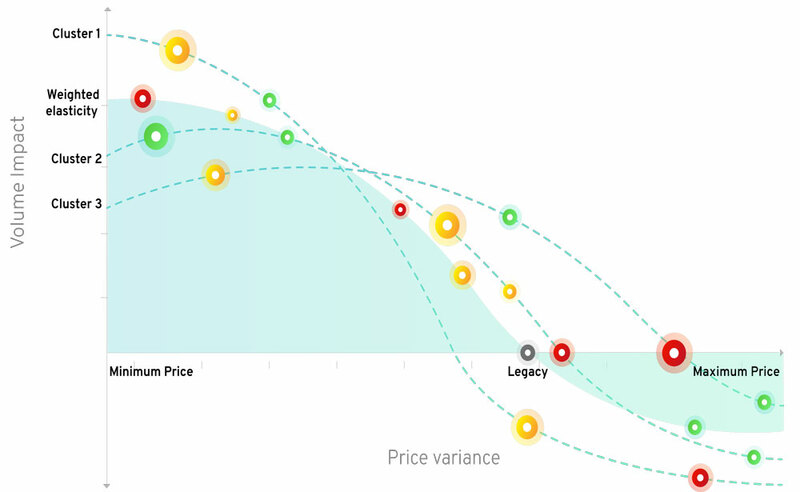 Our approach is based on building an elasticity curve of your products and understanding how much price variance is driving sales, volume, and profit. During the Learning Phase our machine learning algorithms compute (in)elasticity pockets at the most granular level. We cluster your inventory as well as customer demand price sensitivity! During the Optimization Phase we push pricing recommendations gathered from the previous phase and analyse their outcomes in order to identify the best pricing configuration that will optimise for the set business targets. We build the elasticity curve rather than trying to predict it. Our models are based on understanding price elasticity at a specific moment in time within a given competitive context. To achieve this we develop reinforced learning models that constantly run pricing tests and measure performance vs business goals. Most competitors use predictive models that leverage past data to create a pricing structure for any given product. These pricing strategies run the risk of being biased toward external events (promotions, seasonality, marketing campaigns etc.) and are subject to a lot of data noise. 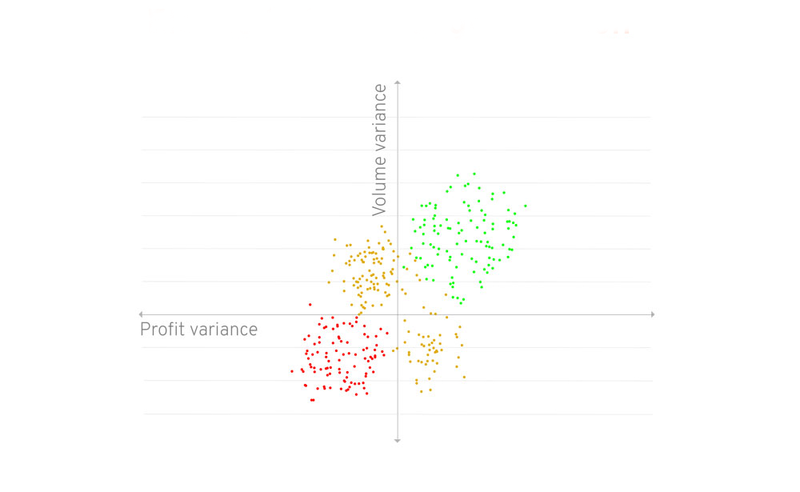 To rigorously measure value creation, we use a sturdy data-science framework to build the best possible proxy for an A/B test without any related drawbacks. No predictive black box : we give you advance notice of the key information needed to understand a price recommendation we have made before it even goes live. You give us access to the different data sources – we do the heavy lifting and build the data model. 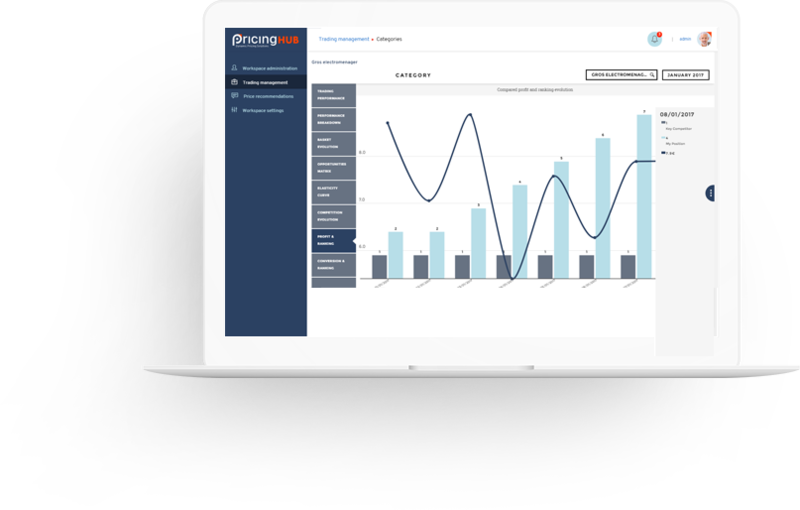 PricingHUB aims to build and provide retailers with the best SaaS solutions to help them increase their profitability. © 2019 PricingHUB. All rights reserved.